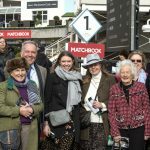 When Nicky Henderson donated a visit to his stable for a charity auction, he would not have anticipated that his philanthropic gesture would be repaid in such exponential kind. 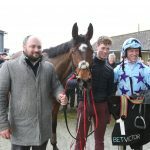 The trainer headed to a Cheltenham preview night at the Hatton Arms in Cheshire and found himself sat next to Stuart Parkin, a local entrepreneur from the financial services industry. Just across the room was Parkin’s friend and former colleague Mike Grech, another man the trainer would soon be seeing considerably more frequently. 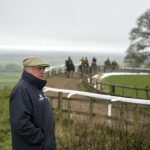 “Mark starts off, ‘Right, morning on the gallops at Nicky Henderson’s Seven Barrows, champagne lunch, see Bobs Worth, Sprinter Sacre, Simonsig and all the superstars. Who’s opening the bidding? I’ll have £5,000’. The pair validated their ticket to Lambourn a little while later and, sure enough, were presented with a couple of horses that happened to be for sale. They bought both but one, who was not an insubstantial first thoroughbred purchase, never made the racecourse. “Stuart and I looked at each other and thought, ‘Wow, that’s a big investment that lasted only three months,’” says Grech, before Parkin adds: “So what do you do when you have that sort of luck? You reload and go again. “We connected because Nicky’s passion for the horses is obviously first-class, but what got me more than anything was his care for them. He’s never going to run a horse if it’s 99% right, it’s got to be 100%. This is only the fourth season in which the Grech and Parkin silks have been visible on the track, but their pink and black colours have already become a frequent sight in higher-end races around the country. Henderson is their principal trainer and he has provided Graded success at novice hurdle level with the likes of Claimantakinforgan and River Wylde. 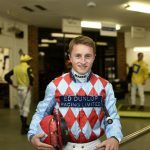 The net has been widened to include Warren Greatrex, Alan King, Dan Skelton and Ian Williams, while more than a dozen horses have appeared already this term, with others to come. Curiously, neither Grech or Parkin had taken any formal interest in National Hunt racing prior to their meeting with Henderson, aside from the social and occasional gambling aspect. Grech, the elder of the two, had been part of a handful of minor syndicates in sprinters with Dandy Nicholls, whilst Parkin found his way in when he bought a house next to the estate of Lord Peter Daresbury, former Chairman of Aintree. “I got into riding seven or eight years ago, it was more a case of getting the hunters out and having a little pop around on the farm – my passion came from there,” he says. 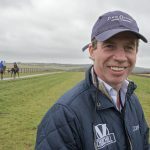 Although clearly both busy men, one or other will usually manage to see each horse running live and they have employed an efficient racing manager in Ryan Tongue. On a subdued midweek afternoon at Bangor, even with one of the lesser lights in action, Parkin has arrived fizzing with excitement. Before the horse departs the paddock and after the post-race debrief, Grech checks in by phone. A self-confessed workaholic and the chief executive of a company he built from scratch, Grech is a man who clearly sets high standards throughout his family. 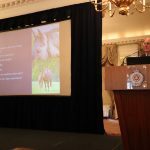 His son, Rocco, made the Great Britain elite performance gymnastic squad at the age of ten, whilst his daughters are junior international showjumpers. He takes such ambition into this hobby too. “Now you’ve invested that amount of money, you need to know what’s out there and what the competition are doing, and therefore you need to be one step ahead,” he says. Parkin, at just 37, is another remarkable success story from the Manchester area. 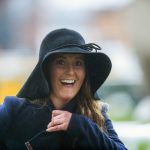 The Money Advice Group, which he established with his wife Shelly, is among a portfolio which allows the freedom to buy a horse such as Gallahers Cross for £260,000 at a boutique Cheltenham sale. Despite some trappings of wealth, the pair both have considerable charity interests and are close to their roots. They are attempting to cultivate a wholesome approach to ownership too, by sharing information via an official Grech & Parkin Twitter account. “Mike and I enjoy talking about our horses and we came from very humble beginnings,” says Parkin. 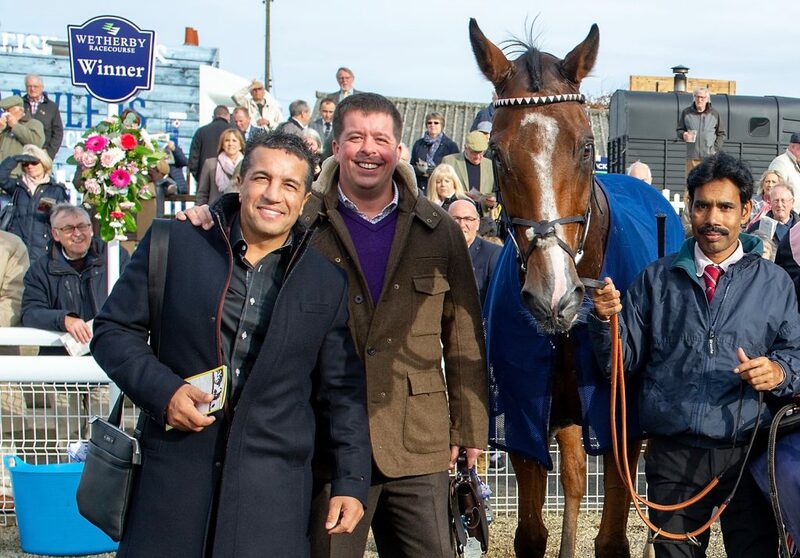 There are doubtless, too, some similarities between this partnership and another from the world of investment in Simon Munir and Isaac Souede, whose dual green livery has been carried to glory by the likes of Footpad and Peace And Co. 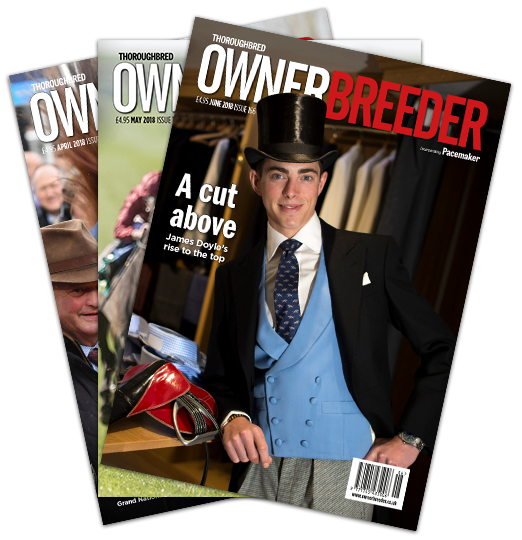 They not only share Henderson as a trainer, but Anthony Bromley as a bloodstock agent. Grech and Parkin, and their families, have been brought far closer by this new venture. Whilst they have not yet reached the point of finishing each other’s sentences (in this interview at least), they refer to each other with regularity and their ethos is identical. Grech says: “What is good is that we’re very similar in terms of outcome, and competition and driving to excel. We don’t suffer fools, we’re very much on the front foot as owners. I don’t think we’re bad losers – but we don’t like losing! Parkin adds: “It’s a fine line. You can’t associate business and horses. However, in business if something’s not right you’ve got to change it. 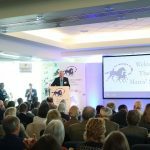 “So we have changed yards, made decisions on horses, and we will dispose of horses that we don’t think will be potential Grech and Parkin runners. “Obviously sometimes you do throw the baby out with the bathwater, but that’s part and parcel of it. 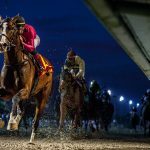 There are only so many days you can go racing in a year and if you want to go to some of the bigger meeting, you’ve got to have some of the bigger firepower. Transparently, these bigger meetings include the most famous events of all, and making an impact should be only a matter of time. Grech offers up Some Man, a slow-burning novice hurdler with Paul Nicholls, as a dark horse for the season, whilst Parkin is very keen on Henderson’s Lust For Glory. 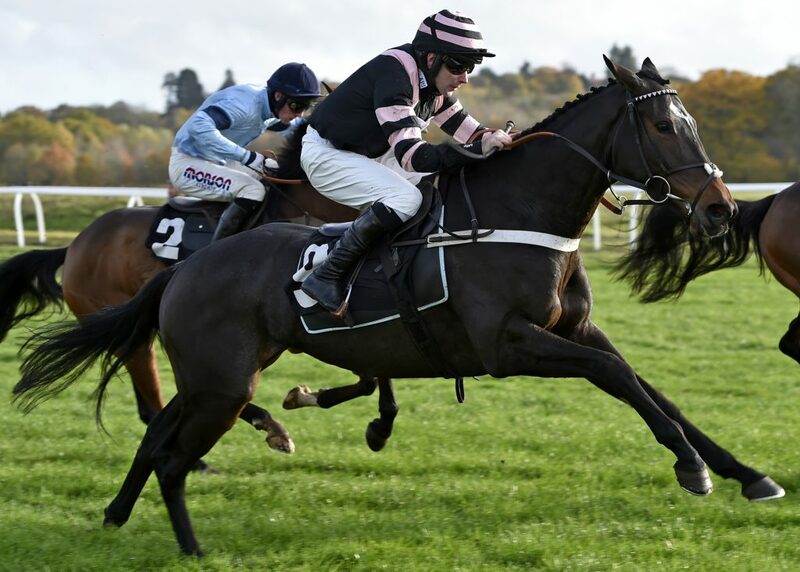 He says: “She would be my personal favourite, I think she’s a fantastic mare and hopefully she might get to the mares’ novices’ hurdle at Cheltenham. I’d be thankful for that. Thinking even further ahead, Grech concludes: “You want to put yourself in a position where you can compete and I think Stuart and I have done that. I’d love to win the Champion Hurdle, love to win the Gold Cup, love to win the Grand National. 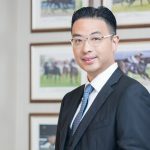 The luck was Henderson’s when he chanced upon two newcomers who have quickly ranked among the most significant owners in a title-winning operation. Perhaps he’ll pass it on. Although Grech and Parkin have spread their expanding string around half a dozen of the country’s top stables, they are already planning farther and wider. “We’ve got one in France with David Cottin called Fanion Libre, a [son of] Blek who might hopefully have his first race at the end of February,” reveals Parkin. “We’ve got five more that will be going to France to David and [partner] Amanda and he might get some more a few weeks after that. They’ll do some pre-training, they’ll have a look, see which they think need to be turned away, which might spend time in the point-to-point sphere, and who they’d like to kick on with. 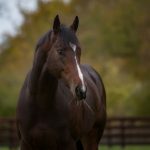 “They’re all sorts of breeding, including Presenting and Kayf Tara, all well-known sires, and hopefully there’s something that’s quite nice in there. But it’s like liquorice allsorts – you never know which one you’re going to pull out the bag. Ireland, too, awaits, with the pair making a winter scouting mission. 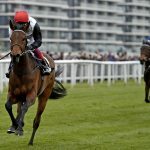 Parkin continues: “We’ll hopefully see Willie [Mullins] and Gordon [Elliott] at some point, and no doubt after we’ve said a few hellos it’ll be the start of something! It would be very, very interesting. Parkin’s home base has also allowed a tentative foray into breeding, principally through the Listed-winning mare Pumped Up Kicks, who has already produced foals by Blue Bresil and Pethers Moon. “She’s going to come back to ours and will be covered by Authorized again in the spring,” he says. “We’ve got facilities available at the yard – fields, turnout, grooms, farriers, menage – and my grass is as green as anyone else’s. We’ll do a bit of the holidaying at mine, and a bit of gentle hacking, and a lot enjoy that change of scenery. He continues: “I’ve made all sorts of philosophies. It’s fun at one horse, it’s nice at three. I’ve heard people saying it’s loss-making at 15 but then it’s really good at 40 horses!